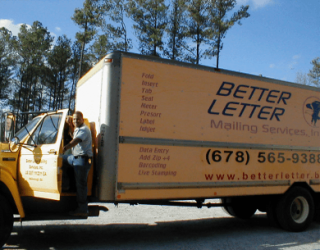 Better Letter Mailing Services, Inc. of Stockbridge GA is a full service print-to-mail production facility that serves the Atlanta GA area as well as the entire Southeast. This successful direct mail marketing company has been serving the Atlanta area for over 20 years. They pride themselves on making, what they affectionately call, a “better letter”. Their niche in the Atlanta GA direct mail advertising market is that they provide a quality direct mail product, at an extremely competitive price, with better customer service. 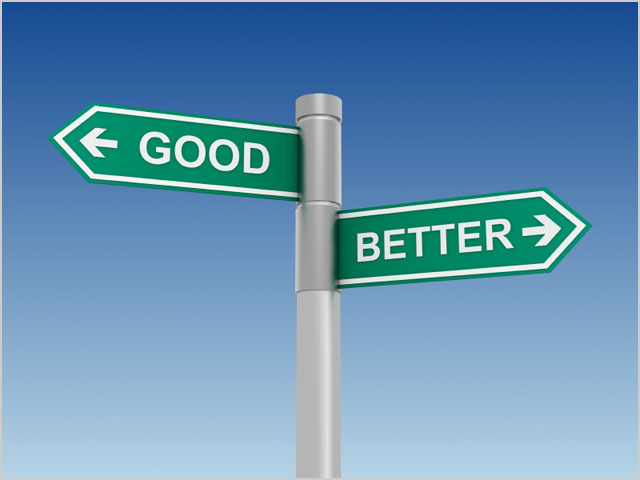 Actually, the founder and president of Better Letter, Chuck Ekstedt, will not only insist that their level of service is “better”, but it is more likely to insist that it is the “best” in the industry. This insistence on quality is why Chuck named the company Better Letter. “Excellent quality, in both production and customer service, is more of a journey than a destination. Everything can always be done better… always”. Atlanta Mail House Better Letter Gets People to Visit Your Website! When e-commerce websites fail to thrive, it is usually mediocre search engine optimization and poor website design that is to blame. Many small website-dependent businesses fail in these areas simply because they lack the budget. This is where direct mail marketing comes in. Consumers tend to make the Internet a part of everything they do today. If it’s watching a TV show, they love checking the show out on the Internet on their smartphones or tablets even as they watch. Books are read in the same way. When a business wishes to target such Internet-connected consumers, the dual-media approach can help. A piece of direct mail with an attractive message and an invitation to the company website can naturally play to their instincts. Consumers today love constantly moving between the offline world and the online one. Direct mail that is intended to invite people to a website doesn’t need to be elaborate. Often, a simple printed Post-It note that’s ready can go on a laptop or refrigerator is all it takes. Since these invitations are standalone promotional devices whose sole reason to exist is to ask a consumer to visit a website, they tend to be more effective than advertisements in newspapers that are full of other advertisements. A dedicated advertising vehicle always has more credibility. Multiple research studies point to the fact that messages are more easily read and retained when they are on a physical medium rather than on a screen. In several ways, the brain sees images on screens as impermanent and less worthy of being taken seriously. Direct mail also offers sensory aids to memory that electronic methods of marketing cannot offer, touch and scent among them. One of the easiest ways to be successful with a website promotion direct mail campaign is to include a free key ring, pen or even a package of promotional paper napkins in the envelope. While these gifts cost little to provide, they stay with people for a long time, spreading their message each day. No matter how small it is, consumers have a hard time ignoring a freebie that just shows up in the mail. As long as it is a quality product, it’ll carry your message of website promotion for you,. Direct mail is an excellent way to promote any product or service, websites included. Not only does it make great website traffic generation possible, you get results at very little outlay. It can’t matter how great the offers included in your direct mail are if people don’t open it at all. If you want your direct mail to always get opened, you need to do a few things differently. 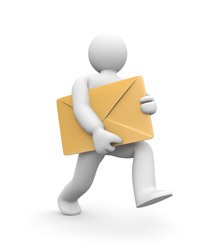 The tips here should help you get on the right track designing the mailers in your direct mail. People tend to find certain kinds of appearance irresistible in a piece of marketing mail. Bulk, size and weight usually make people believe that the contents are a must-see. Mailers that include items of some practical value — a simple flag, a pen, a fridge magnet or a bumper sticker with a clever message — are always opened. These items simply need to be visible through a window. Many people can’t see the point of letting something of use go to waste. No one will ever mistake a thick mailer for a personal letter from a friend. Nevertheless, the mind has a way of making you feel things that you know to not be true. Direct mail sent in an envelope that approximates the look of personal mail does get opened more. People feel better about such mail. Using a handwriting-style typeface and postage stamps instead of postage franking can help. An envelope offers a great deal of space that’s usually left to go to waste. Good, well-chosen messages that are likely to appeal to your target audience should always go on the unused space on your envelopes. It can also be an idea to put large glassine/cellophane windows in portions of the envelope to allow people a look inside. This way, recipients won’t have to actually open your envelopes to see some of the best of what you have to offer. If you catch the right kind of customer at the right of time, you won’t need to worry at all about whether your mail will be opened. Doing your research to build a great mailing list full of relevant names, then, is the most important thing that you can do to make sure that your mail is opened. Rather than try to hit your audience over the head with loud offers and promises, you should consider investing in high-quality copy — both on the envelope and inside. Deep, clever lines that your audience never heard before are likely to impress them and to get them to pay attention to your mail. Well-designed direct-mail postcards can work much better than expensive, thick envelopes simply because they don’t need to be opened. Colorful, beautifully designed postcards with well-thought-out marketing messages are often quickly read. Direct mail marketing is constantly attacked as over the hill. When you come across such criticism, it can be easy to wonder if these assertions are true. When you have a choice between direct mail and email marketing, these rumours may persuade you to go with the email alternative. That would be a mistake, though. Not only is direct mail alive and well, it often achieves better results for businesses than email marketing. While marketing emails can employ full-color graphics, they either live on tiny phone screens or need to be viewed on computers that aren’t always available. Even when printed, beautifully designed marketing emails can end up flat and unattractive on simple, printer paper. Direct mail, on the other hand, is always available to customers who receive it. Being printed on quality paper, it is also capable of a far more attractive effect than most marketing email. Research has repeatedly shown (see: healthland.time.com/2012/03/14/do-e-books-impair-memory/) that people remember things better when they get their information off physical, printed material. The brain simply doesn’t take screens seriously. Direct mail, then, is far more likely to be remembered than marketing emails. Direct mail and marketing email don’t necessarily live in separate worlds. Direct mail often successfully pushes people to try online shopping at the company’s website. Many small businesses successfully use direct marketing as a way to build their email marketing databases. When they deliver direct mail to everyone in their ZIP code, they get to ask for email addresses too. They end up with tightly focused email lists. Gmail became the world’s largest email provider in 2012, with nearly half a billion active users. Gmail’s powerful email filtering technology is one of the biggest reasons people love the service. Not only is it extremely effective at identifying spam, it is able to separate marketing emails and file them under a separate inbox tab called Promotions. Other email services are increasingly competent at deploying filtering technology, too. Whether or not marketing emails are effective, then, is moot — a large number of marketing email recipients never get to see their mail. When a household receives direct mail, the recipient doesn’t jealously protect it. It is left lying around for anyone to see. Over a period of days, the recipient, family members and friends who visit get to see the mailer over and over. Electronic communications are necessarily the size of the screen that readers view them on. Every email, then, is the exact same size. With direct mail, though, you get to stand out on size. You can send giant-sized mailers, mailers that have special shapes, ones that open like pop-up cards or anything else. You can’t fail to stand out and impress. A study done by Bolt Insurance finds that only 25% of new customers arriving at businesses make their purchase decisions based on a marketing email. One in three, though, engage with a business based on direct mail. Compared to email-based marketing, direct mail is much more effective at getting customers to respond. To marketers who put most of their budgets into electronic methods of reaching out to their customer base, direct mail marketing can seem old fashioned, expensive and laborious. It is none of these things, though. 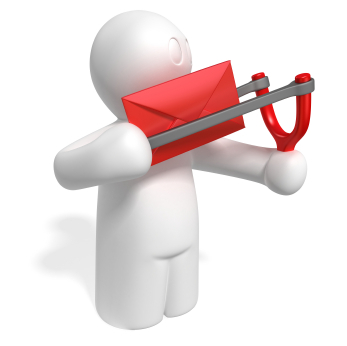 Not only does it achieve results that email marketing cannot, it offers better bang for the advertiser’s buck. Here are 6 important ways in which direct mail marketing turns out to be far superior to email marketing. In the late 90s, people still received as much junk mail as ever. Since email marketing was still in its infancy, people didn’t mind a couple of marketing emails every now and then. Today, though, people are so swamped with marketing email that they dread looking at their inboxes. Surveys now find, on the other hand, that many consumers welcome physical mail. They don’t get to see much of it anymore. Since they receive little of it, they remember whatever they do get — and the businesses that send them. 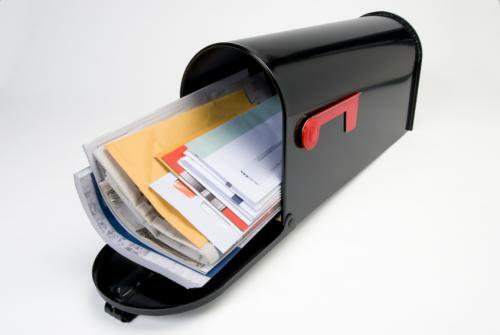 According to a survey by the USPS, two out of three Americans see direct mail as more personal than marketing email. Email, to these people, feels disposable and mechanical. Anyone can send off thousands of them for next to no money. When people receive a well-done piece of direct mail, they feel that the company actually thinks about them. It’s easy for businesses to go even farther. Rather than send out email birthday greetings or Christmas greetings, they could send out paper cards. They are likely to feel much more personal. To those born before the eighties, getting mail and opening it each day is a part of who they are. They’ve grown up with mail as an important part of the daily routine. Surveys by the USPS report that such people tend to be distressed when they don’t receive any mail. When they do receive it, they rush to open it. No one rushes to open marketing email messages. To people who grew up depending on booklets, brochures and forms to make decisions, going with a business that lets them have such physical materials can be very tempting. A 35- or 40-year-old consumer who grew up making decisions based on physical materials is likely to pick a company that gives him such materials over one that doesn’t. Whether it is a car buying decision or a decision to pick a college, physical materials are likely to win with decision-makers. Marketers, then, should aim for direct mail when their customer base likes it better — even when they have email addresses. Street addresses tend to be much more freely available than email addresses. Marketers have access to various public records to find out where people live. Choosing direct mail, then, may sometimes be the only choice. When it comes to certain businesses like home repair, real estate sales and HVAC maintenance that need to cover entire neighborhoods with advertising, trying to find email addresses of each resident can be impossible. Direct mail may be the only option. In many cases, businesses need to send out samples of their products or marketing materials — swatches, perfumes, bumper stickers, bookmarks, pens and so on. 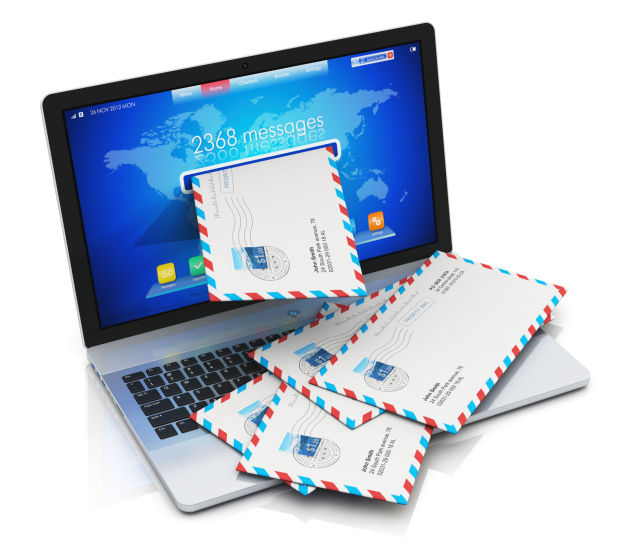 While e-mail may be cheaper and quicker than direct mail, it is also less capable when it comes to such convenience.